Paper Mario Talks -- Is Superguard a bad mechanic in TTYD? **If you’re unfamiliar with Smash, this probably isn’t the post for you unless you’re curious. In order to get a full understanding of this, you should be familiar with Smash’s game mechanics and lingo (EX: Forward Air = Fair), specifically the mechanics for Super Smash Bros. Wii U.
Repeat after me: “MUs aren’t just numbers”. I think there’s something inherently flawed about discussing MUs like this. Let me be perfectly clear – numerically showing how character X does against character Y is fine; in fact, I agree with it. The problem is how it’s discussed and approached. Let me craft a scenario for you. Say you go up against a player who places the same as you in your local scene. You two seem to always get the same place, but you two have never met in bracket. This time, it’s different. You’re going up against him, and he’s using a character that has a 100:0 MU against yours. You two sit down to play, two supposed evenly-matched players, and you emerge the victor. I’ve seen this happen before. What’s happening here? The biggest problem approaching MUs with numbers is that character takes over player. It should be flipped. Player trumps Character. It might be an uphill battle for your character, but it’s not so simple as, “Character X walls Y. It’s hard for them to get in.” No, it’s not so cut and dry. Even with an equal skill level, a player’s tendencies can change how the MU actually is in practice. What if you spun it as, “I struggle against hyper-defense. I find it difficult to approach.” This not only spins the blame to give you something to practice, it gets rid of blaming your character or the MU for losing. A number doesn’t define who you’ll win and lose to, who you’ll struggle and not struggle against. So what can you do to stop thinking this way? Combine Player and Character into a single unit. Combining player and character gives way to two distinct ways to view a MU, and both are essential to improving: Play Style and Character Interactions. What are these? Play Style refers to how a player makes decisions during a match. Do they apply pressure, grab a lot, camp, etc… This is usually categorized further for generality – aggressive, defensive, etc… I won’t get too into that, but Play Style also encompasses a player’s reactions, emotions, etc… their style changes as they play, and if they don’t – well, if you can counter play it without them adapting, then you’re going to win no matter the character. Move Priority refers to the interaction between two character’s moves. A good example would be Kirby’s Dair vs Marth Up Tilt. Marth’s Up Tilt beats Kirby’s Dair, so it wins and Kirby will (most likely) get hit. Kill %’s are just that. When does X move KO at Y percent on character Z? Punishment Options refers to options your character has to punish character X in any given situation. Can you shield grab an Fsmash? A Ftilt? Can you punish a whiffed move with a Smash/Tilt/etc…? Obviously, some characters do beat others. It’s the way a game like this works. And in a game like this, some characters have a lot of “bad” MUs. And they will struggle, and you can clearly see how a character struggles. However, simplifying the MU to the point where you’re going in expecting it to be incredibly hard or maybe impossible is neglecting the fact that there’s a person controlling that avatar. You’re forgetting about human error, human psychology, even human physiological responses during a set. This is stuff that you need to think about when it comes to MUs, and it’s reflected in their play style. If you wanna use numbers when sitting at home thinking about MUs, fine. Don’t let me stop you. But you best believe that you shouldn’t be oversimplifying MUs when you’re about to play someone. Treat them as complex as they should be – it’s a character controlled by a player, not the other way around. Remember that. When you’re giving advice, don’t just use the character. That’s for tier list/character interactions/theorycrafting discussion specifically. Otherwise, think about the player, too. Don’t let players ask, “how does X do against Y?” Demand they be more specific. No two players play the same way – acknowledge that in how you ask for and give out advice. Check out my other posts on improving in Super Smash Bros. Wii U! Check out the BONUS series! 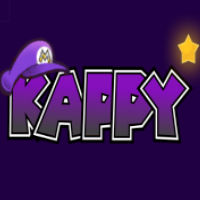 This entry was posted in Games, Smash and tagged 2012, and, at, different, improvement, Just, Just sayin', Kappy, look, Match, Match ups, MUs, Sayin', Smash, Smash 4, Super Smash Bros., Super Smash Bros. 3DS, Super Smash Bros. Wii U, thekapz, to, Ups, Video Games, way, Wii. Bookmark the permalink.